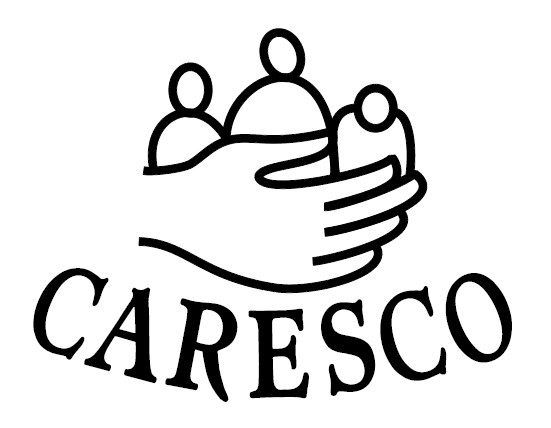 We very much see ourselves as a Community Group and as such like to get involved with local projects. 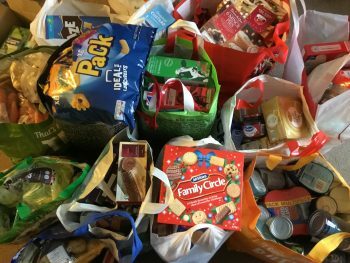 On Wednesday 19 December, we delivered sackfuls of food to the foodbank which we had collected from our members during our Santa Run. We helped the Huntingdon Round Table raise £913 for local charities as part of their Santa visit. 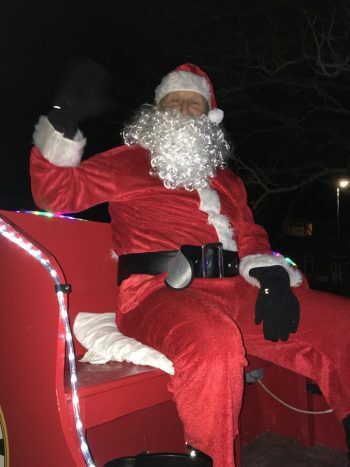 Santa visited Sawtry on 10 & 12 December 2018 bringing smiles from all around the village. On Sunday 28 October 2018, a number of us helped out the Sawtry British Legion with the poppy appeal by going door to door selling poppies.There is a super display of poppies all around the village this year to mark the 1918 – 2018 anniversary. 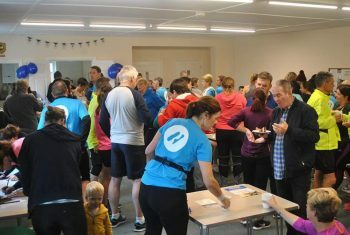 Our first birthday party which we held after the Perkins Great Eastern Run saw us raffle off our London Marathon place. There were only 8 eligible entrants and they each bought a ticket for £5 and the £40 total was given to local charity CARESCO. 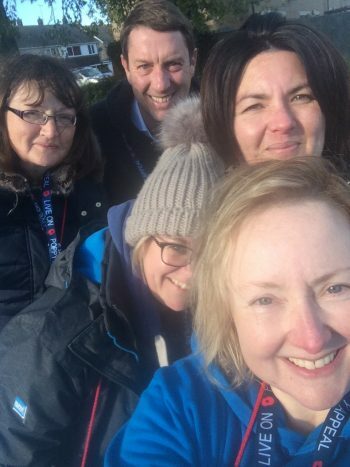 Andrea was the lucky winner who will fly the Sawtry Blue flag at the 2019 VLM. 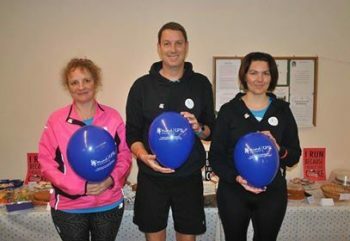 Our One Mile for MIND #runandtalk event attracted around 150 people and resulted in us raising £276 for our local Mind. 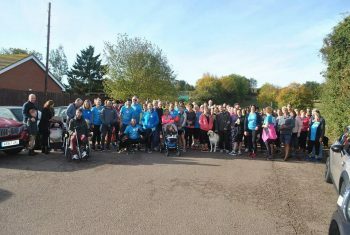 This October we are helping out with the Poppy Appeal and baking cakes to raise donations for our local MIND charity as part of England Athletics #runandtalk campaign when we will be organising a One Mile Walk to encourage people to come and join us as part of World Mental Health week. We aim to have a community focused event each quarter and expect to see Plogging on the agenda very soon – you’d be welcome to join us.